Join Us In Los Angeles. FREE TRIP GIVEAWAY TO COSTA RICA IN 2018! 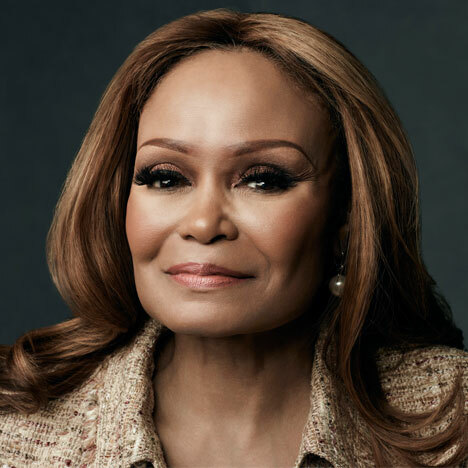 Businesswoman, entrepreneur, educator, ambassador, author, mentor and Presidential Special Appointee, Janice Bryant Howroyd is the Founder and Chief Executive Officer of The ActOne Group, a global leader providing customized cutting-edge solutions in the human resources industry. The ActOne Group is a multi-billion dollar (USD) award-winning, international Talent and Talent Technology enterprise with multiple divisions that each service unique areas of employment and provide talent management solutions. JBH has invested millions of dollars in creating the industry’s most advanced technology and talent platform serving the ever-changing utility, energy and broadband communication space. Her vision, as an industry leader, is fostering connectivity between these sectors giving competitive advantage to clients engaged in cyclical markets. Her understanding of global market demographics and trends has made her a highly sought-after ambassador, speaker and commentator on global business issues. In the hallway of her headquarters hangs a painting inspired by the U.S. Supreme Court decision Brown vs. the Board of Education, which outlawed school segregation, because, she says, “I’m a product of that energy.” She is currently listed as #39 in Forbes list of America’s Richest Self-Made Women. In 2014, she was recognized by Black Enterprise as the first black woman to own and operate a billion-dollar company. JBH was BET’s first ever BET Honors Entrepreneur of the Year and has received Black Enterprise’s Business of the Year award. In 2013, she was appointed a USA Ambassador of Energy at the White House. In May of 2016 JBH received a key Presidential appointment by President Barack Obama as a member of the President’s Board of Advisors on Historically Black Colleges and Universities. As a community leader and advocate for education, she lends her guidance to select organizations that include the International Trade Advisory Commission Board, Los Angeles Economic Development Corporate Board, and the Women’s Leadership Board of the Kennedy School of Government/Harvard University. JBH has traveled to over fifty countries promoting education and the powerful impact it has on communities around the world. Her accomplishments, both personal and professional, are inspired by her deep faith and her love for her family. She says, “One cannot effectively lead without passionately serving. The 3 time NAACP award winning, Tammi Mac was hand-picked by the legendary StevieWonder to be half of the afternoon radio duo, “Mac and Amiche” from 4-8pm daily on his LosAngeles owned 102.3 KJLH. 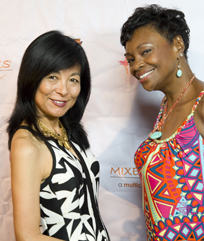 “Mac and Amiche”, is rated number one in Los Angeles withAfrican Americans and has been ranked among the top 20 radio shows in the nation by Radio-Facts.Mac has appeared in over a dozen national television commercials from Verizon to Geico. Shehas been guest host on several television networks like BET, LOGO, VH1, TV One and more.She is represented by one of the top voice over agencies in the nation, WME and can be heard onnational commercials and movie trailers.Mac’s one woman show, Bag Lady has garnered, Best One Person Show, Best Playwright andBest Producer awards. The show was commissioned by the AIDS Healthcare Foundation and isnow touring nationally.Mac holds dual degrees, a Bachelors of Science and Arts. She also earned a Master of Fine Artsin theatre. She has been honored with the L.A. Women of Purpose award, African Oscar Imageaward and L.A. Women in Entertainment award. 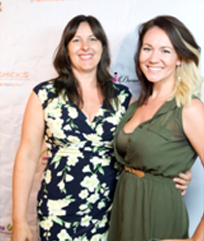 Tammi Mac works diligently to empowerwomen through her non-profit Tam Talks and create projects through her production companyMacJack. Follow on instagram, twitter, facebook @mstammimac. An accomplished actor, writer, social activist and entrepreneur, Ciera Payton is a well-respected pillar of the entertainment industry with an unwavering dedication to the arts. Growing up in the vibrant city of New Orleans, Ciera was surrounded by creativity in all forms - from street performers blowing their horns, to muralists transforming the city’s landscape to every cook’s special recipe for gumbo. This dynamic environment fed her passion to become a successful working actor. After Hurricane Katrina, Ciera and her family relocated to North Carolina where she graduated with a B.F.A. from the North Carolina School of the Arts. While still enrolled in school, Ciera landed the female lead role opposite Steven Seagal in . Since her breakout role, she has shared screen time with many talented artists including Viola Davis, Nicholas Cage, Kevin Hart and Josh Brolin. Past credits include USA Network’sGraceland, While dedicated to her acting career, Ciera also manages to find time to engage with her local community. Her dedication to arts education in underserved communities led her to create the Michael’s Daughter Project, an annual theater and media arts summer camp for youth in Panorama City. Ciera teaches and empowers the youth to share their stories through creative writing, theater performance and short film production. In addition to her creative endeavors, Ciera is the owner of Sincerely Ciera Payton Cosmetics, an all-natural mineral-based cosmetic company which caters to health- conscious women who have sensitive skin. In the little free time she has, Ciera enjoys sewing, painting, cooking and most importantly: dancing! She continues to have an unwavering commitment to always be her best, challenge the limits of everything she does, while always remaining true to her creative motivations. Kerri Zane is an Emmy Award Winning Executive Producer and highly respected info-reality content writer/producer/director. With over twenty years of experience, she ran one of only a handful of female-owned production companies in Hollywood called Organic Entertainment. Zane is an internationally recognized Travel Expert, Single Mom Lifestyle Expert, speaker, spokesperson, Amazon and #1 fiction best-selling author. Over the course of her media career, Kerri has served as executive producer for numerous television series; including NBC’s highly acclaimed educational series, Name Your Adventure, hosted by Mario Lopez, the CBS animated series, Flying Rhino Jr. High, a one hour drama called, My Indian Summer, for which she won her Emmy. She also created and produced hundreds of hours of cable content such as The Little Zoo That Could for Animal Planet, Ultimate Goals for FitTV, Destination: Style, Honeymoon Adventures, Bikini Blast, and Top 10 Wonders for Travel Channel, Cool Kids Parties, Extreme Eats, Midnight Munchies, and Healthy Living Secrets, for Fine Living Network, Secrets Revealed for Women’s Entertainment. She recently completed a docu-series, Foxy Ladies currently airing on Amazon Prime and an international series she also co-hosted called Culinary Escapes. In 2010, seven years after her divorce, the passing of her father, her mother's near-death experience and her brother's cancer scare she took a hiatus from TV to focus on her passion, helping other single moms. Kerri returned to school receiving a Masters Degree in Spiritual Psychology from the University of Santa Monica (2012). Simultaneously she wrote and published her Amazon Best Selling self-help book, "It Takes All 5: A Single Mom's Guide to Finding the REAL One." In 2016 her first fiction work, “My Lover’s Keeper” was published and currently under option as a screenplay. Kerri has been on featured on national and local TV shows such as Fox News, The Wendy Williams Show, The Lisa Oz Show, KTLA Morning News and WCBS' Live on the Couch. 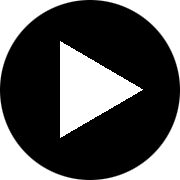 She has been on numerous radio shows and is a recurring expert for KNX. 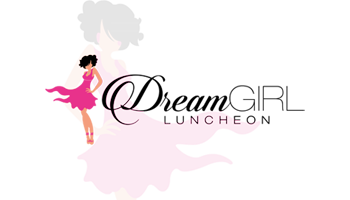 She has been a keynote speaker for organizations such as Coldwell Banker and Schwab, as well as a presenter at the Texas Conference for Women, Southern California Women’s Health Conference and others. Kerri has also been quoted in a number of online and print publications like O Magazine, Ebony, Redbook, People.com, Scholastic Magazine, She Knows, Deseret News, AOL News, Yahoo Match and more. She is a contributor to Forbes.com. In April 2015, Kerri was honored with the prestigious, Vision Award, by Single Moms Planet, a charity dedicated to helping single mothers. Kerri is a member of the DGA, Board Member of Single Moms Planet and the mother of two grown daughters. 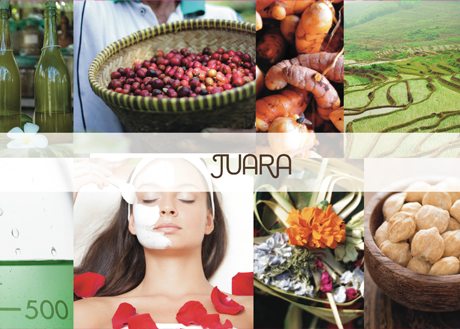 For more information visit http://www.kerrizane.com. Kellee Edwards is a travel expert and television host by land, air and sea. She is a licensed pilot, advanced open water scuba diver, explorer and journalist. A pioneer in her approach to adventure travel made her brand Kellee Set Go! become recognized by some of the biggest brands in travel including that of the biggest TV network in this realm, The Travel Channel. Kellee is the host of Mysterious Islands, a series that explores some of the most remote islands of the 100,000 in the world, that viewers more likely have never heard of. She is also the co-host of The Trip 2018 on the network. Exploring over 40 countries thus far, including parts of North and West Africa, Asia, South and Central America, Europe and the UAE, her extensive travels have taken her a long way from where she spent her early childhood – on Chicago’s South Side – and where she was raised in San Bernardino, CA. Additionally, her passion for travel has allowed Kellee to become an On-Air contributor for FOX 5 San Diego's "Live for Travel" segment for over three years, and served as a writer and editor for Pilot Getaways magazine. An advocate for women in adventure travel, Kellee has been featured in Forbes, ELLE, Conde Naste Traveller, Travel & Leisure, Essence Magazine and named “The Most Interesting Woman in The World” by Outside Magazine. Kellee holds a BA in Communications from California State University Fullerton with an emphasis in journalism. Currently, she resides in Los Angeles and can often be found enjoying her favorite pastimes -- hiking or flying around in a Cessna 172 in search of her next adventure. Janice Freeman a voice to remember.This Neo-Soul artist from Harrisburg, PA, is the voice the nations have yet to hear. The soulfulness and round sounds of her vocal range are beyond imaginary overtones ever heard before. Singing is her deepest passion and when you’re passionate about something you’re willing to give it your all and go the distance despite the many challenges that are faced along the way. Janice was 21 years old when her beautiful daughter, Hannah, was born. A few years later, Hanna's father passed away from cancer. These were tough times in being a single mother but a lesson in strength and perseverance. Janice would need this strength while pressing forward in the entertainment industry. Janice began her professional music journey in 1999, moving to California and joining the group (M.I.G). Janice and (M.I.G) performed national and international shows including Japan. Janice later auditioned for a Television Series competition called Sunday’s Best and climbed to top 6 in the United States. She was also accepted into the top writers Association in the world (SESAC). She then released her first single titled “You”. While on this journey she met her wonderfully supportive husband and phenomenal musician/producer. Life continued with amazing triumphs as well as continued challenges as she was diagnosed with lupus in (2009). In (2012) Janice was also diagnosed with cervical cancer. With her surviving spirit and supportive family she fought it and survived. In the midst of all the trials and tragedy she held on not letting go of her dream and continued to press with perseverance. Moving forward despite her health challenges Janice auditioned for another Television series competition (THE VOICE). Janice made it to the top 11 becoming a nationally acclaimed Artist. This experience allowed her to learn so much along the way -meeting impactful mentors and developing new flourishing relationships. Having gone through so much, she is grateful to be cancer-free ,but fights against Lupus today. 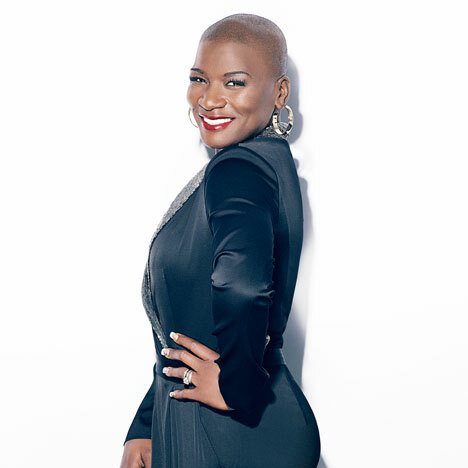 With support of her loving family and friends, Janice Freeman is a survivor, inspiration and "The Voice"to remember. 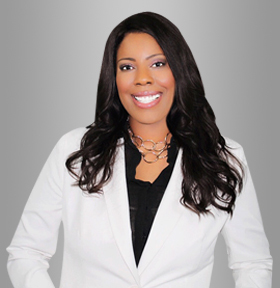 Passion, outspoken and insightful, Areva is one of the nation’s leading voices in the media. She is a CNN Legal Analyst and cohost on the new daytime syndicated talk show, Face the Truth. Airing nationwide on CBS this Fall. Areva is also a regular contributor on Dr. Phil, The Doctors, Good Morning America, World News Tonight, Daily Mail TV and across shows on CNN and HLN.Areva is well known for her no holds bar and candid commentary on a range of topics from race, politics, legal matters and breaking news. A honors Harvard Law School graduate and an award-winning civil rights attorney, Areva founded the Los Angeles based civil rights firm,Martin & Martin, LLP.For the past four years, she has been identified as a Southern California Super Lawyer, a distinction reserved for the top five percent attorneys in the state. The recipient of a myriad of leadership awards, Areva is also the founder and president of Special Needs Network, California’s premier autism organization. A quotable authority on workplace, disability rights, education, custody and women's issues, Areva is frequently quoted and/or featured on the pages of publications ranging from Red Book to Essence.She writes regularly for CNN.com, Daily Beast, Thrive Global and Time.Motto, where you can find her monthly column, Sexist Laws Explained. Areva’s third book, Make It Rain: How to Use the Media to Revolutionize Your Business and Brand (Hachette 2018) was released in March and instantly soared to the top of Amazon, Nielsen, Publishers’ Weekly and Barnes & Noble bestsellers’ lists. In Make It Rain, Areva shares insider’s tips on how to find your authentic voice, amplify it and use it to grow your influence and power. 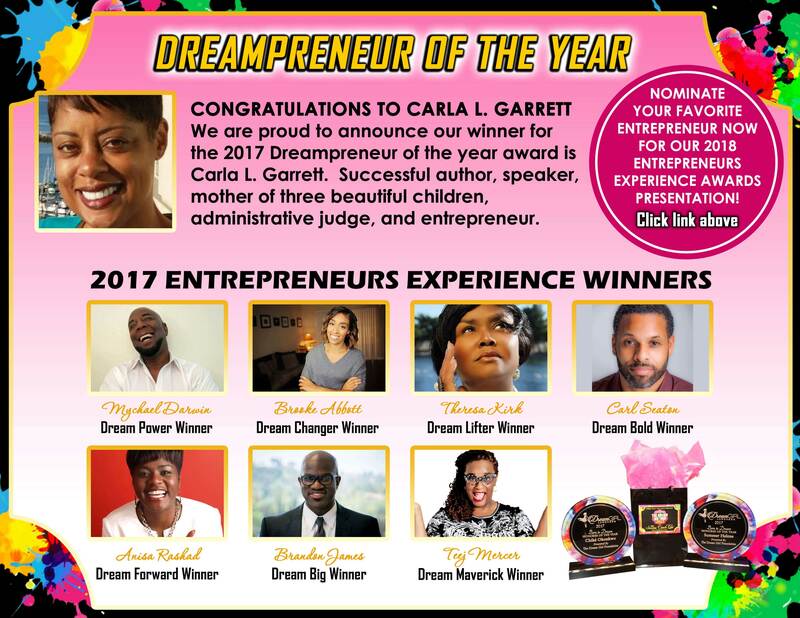 We are now accepting nominations for our 2018 Entrepreneurs Awards Presentation happening at The Dream Big Experience Weekend! The following are categories we are accepting nominations for entrepreneurs in the following fields: Health & Beauty, Non-Profits, Motivational Speakers & Life Coaches, Authors, Financial Services, Film & Television, Social Media Influencers. Click the “Vote Now” button below. The deadline to submit your nominee is: Monday July 10th at Midnight! 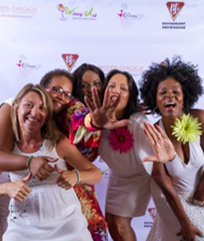 The Dream Big Experience Weekend is a networking platform that brings together passionate and driven multicultural women and men to a space of empowerment. 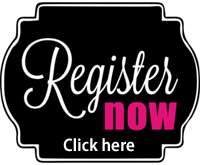 Our mission is to light the entrepreneurial spirit of all women and men in attendance. While offering Inspiration, we want to Celebrate the accomplishments of women and men who have dared to DREAM in all facets of life and to Empower those with a strong desire of entrepreneurship to make big dreams a reality. 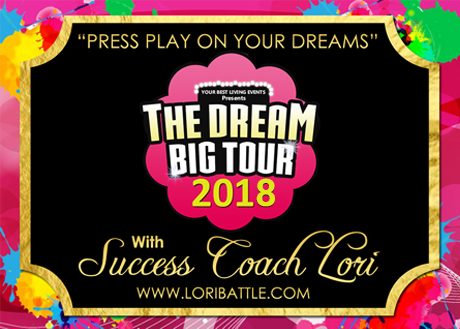 In 2018, we are going to “Be Bold & Dream Big”at the Dream Big Experience Weekend that will be filled with inspiration, celebration, empowerment, entertainment & more. 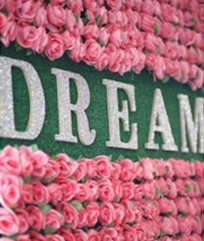 This is an event where you will come with your dreams, and leave with endless possibilities. See you there!! Be Inspired, Be Celebrated, Be Empowered! Businesswoman, entrepreneur, educator, ambassador, author, mentor and Presidential Special Appointee, Janice Bryant Howroyd is the Founder and Chief Executive Officer of The ActOne Group, a global leader providing customized cutting-edge solutions in the human resources industry. The ActOne Group is a multi-billion dollar (USD) award-winning, international Talent and Talent Technology enterprise with multiple divisions that each service unique areas of employment and provide talent management solutions. JBH has invested millions of dollars in creating the industry’s most advanced technology and talent platform serving the ever-changing utility, energy and broadband communication space. Her vision, as an industry leader, is fostering connectivity between these sectors giving competitive advantage to clients engaged in cyclical markets. Her understanding of global market demographics and trends has made her a highly sought-after ambassador, speaker and commentator on global business issues. In the hallway of her headquarters hangs a painting inspired by the U.S. Supreme Court decision Brown vs. the Board of Education, which outlawed school segregation, because, she says, “I’m a product of that energy.” She is currently listed as #39 in Forbes list of America’s Richest Self-Made Women. In 2014, she was recognized by Black Enterprise as the first black woman to own and operate a billion-dollar company. JBH was BET’s first ever BET Honors Entrepreneur of the Year and has received Black Enterprise’s Business of the Year award. In 2013, she was appointed a USA Ambassador of Energy at the White House. In May of 2016 JBH received a key Presidential appointment by President Barack Obama as a member of the President’s Board of Advisors on Historically Black Colleges and Universities. As a community leader and advocate for education, she lends her guidance to select organizations that include the International Trade Advisory Commission Board, Los Angeles Economic Development Corporate Board, and the Women’s Leadership Board of the Kennedy School of Government/Harvard University. JBH has traveled to over fifty countries promoting education and the powerful impact it has on communities around the world. Her accomplishments, both personal and professional, are inspired by her deep faith and her love for her family. She says, “One cannot effectively lead without passionately serving. An accomplished actor, writer, social activist and entrepreneur, Ciera Payton is a well- respected pillar of the entertainment industry with an unwavering dedication to the arts. Growing up in the vibrant city of New Orleans, Ciera was surrounded by creativity in all forms - from street performers blowing their horns, to muralists transforming the city’s landscape to every cook’s special recipe for gumbo. This dynamic environment fed her passion to become a successful working actor. After Hurricane Katrina, Ciera and her family relocated to North Carolina where she graduated with a B.F.A. from the North Carolina School of the Arts. While still enrolled in school, Ciera landed the female lead role opposite Steven Seagal in . Since her breakout role, she has shared screen time with many talented artists including Viola Davis, Nicholas Cage, Kevin Hart and Josh Brolin. 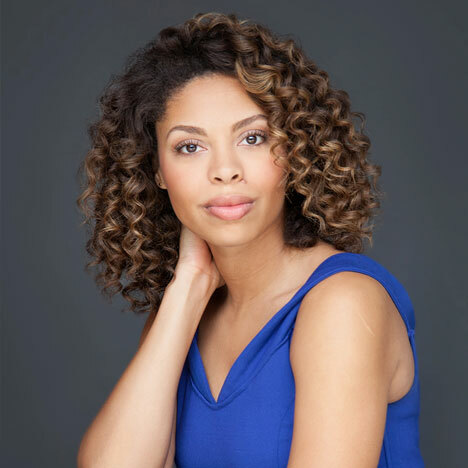 Past credits include USA Network’sGraceland, While dedicated to her acting career, Ciera also manages to find time to engage with her local community. Her dedication to arts education in underserved communities led her to create the Michael’s Daughter Project, an annual theater and media arts summer camp for youth in Panorama City. Ciera teaches and empowers the youth to share their stories through creative writing, theater performance and short film production. 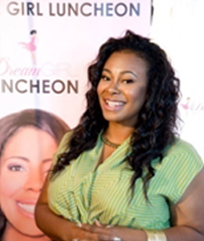 In addition to her creative endeavors, Ciera is the owner of Sincerely Ciera Payton Cosmetics, an all-natural mineral-based cosmetic company which caters to health- conscious women who have sensitive skin. In the little free time she has, Ciera enjoys sewing, painting, cooking and most importantly: dancing! She continues to have an unwavering commitment to always be her best, challenge the limits of everything she does, while always remaining true to her creative motivations. Emmy Award-winning journalist and recipient of Dove's prestigious Real Beauty Award, Shaun Robinson is a true role model. As an author, television and digital content producer, entrepreneur, philanthropist and television personality, she has won the respect and admiration of millions of daily viewers throughout her career including her work as co-host of the entertainment news show, Access Hollywood. Shaun has interviewed Hollywood's biggest stars and covered the red carpets for the Academy Awards, Golden Globes, Emmy's and Grammy's. She has hosted the official pre-shows for the Oscars and anchored NBC's coverage of the Tournament of Roses Parade. She has contributed reports to NBC Nightly News, Today Show, MSNBC and CNN. Shaun has also been featured as a panelist on Piers Morgan Tonight, Larry King Live, served as a guest co-host on The View, and guest host of The Joy Behar Show and Who Wants to be a Millionaire?, in addition to hosting shows for TLC and Lifetime networks. Charismatic and talented, Shaun won an Emmy for her live coverage of "A Grand Night in Harlem" for the Black Sports and Entertainment Hall of Fame. Most recently, she won a distinguished Gracie Award for her work on "BET Takes Hollywood" profiling the history of African Americans and the Oscars. She captivated audiences as the premiere host of TV One Access, for which she received the "Outstanding Coverage of Race & Ethnicity" award from Columbia University. The Ford Foundation also honored her for her special on "Missing in the Media." In addition, Shaun has received prestigious awards from American Women in Radio and Television and the Associated Press. Shaun's versatility has launched her additional success as the author of Exactly As I Am, a book for teen girls about building self-esteem that brings together the collected wisdom of both superstar women and everyday teenagers. The book encourages girls to be more comfortable in their own skin and to embark on the path to becoming tomorrow's leaders. Shaun was honored with an invitation from the U.S. Ambassador to the Bahamas to speak to the country's girls about her book. Shaun has also built her acting resume with roles in Bruce Almighty, Dr. Dolittle 2, America's Sweethearts, Law & Order, Real Husbands of Hollywood, Last Man Standing, Monk, Everybody Hates Chris, Charmed, Days of our Lives, The Proud Family, and more. Prioritizing the goal of being a positive role model, this dynamo devotes her time to many charitable organizations including serving on the national board of Girls, Inc. - the nonprofit girls empowerment organization. 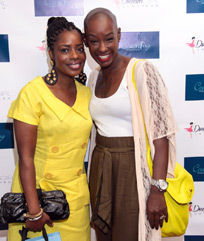 She currently sits on the Advisory Board of the United Nations Foundation's Girl Up campaign. Shaun has also served as the spokesperson for the Los Angeles County "Share Your Heart, Share Your Home" foster care and adoption program and worked with the national literacy organization, Jumpstart. She was also awarded the "Inspiring Woman" award by the Los Angeles Sparks. Shaun created the "One Girl, One Voice: A Million Ways to Make a Difference" movement of one million socially responsible girls each pledging to use their voices for positive change in the world through volunteering. Shaun served as the official spokesperson for the Heart Rhythm Society's "Arrest The Risk" campaign focusing on African Americans and heart disease. Her HRS PSA was honored with the "Spirit of the Heart" Award by the Association of Black Cardiologists. Prior to coming to Hollywood, Shaun was an anchor/reporter in Miami where she anchored coverage of the Clinton Impeachment Hearings and Hurricane Georges which devastated the Florida Keys. She also anchored in Austin, Texas where she reported from the notorious Texas State Penitentiary in Huntsville interviewing prisoners on death row. 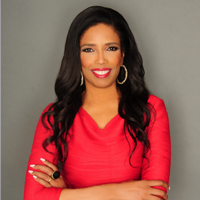 Shaun is a native of Detroit, Michigan where she began her career as a reporter, anchor and talk show host. 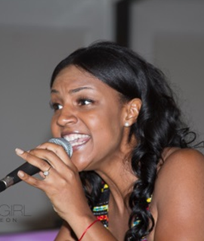 She currently resides in Los Angeles and is a graduate of Spelman College in Atlanta. When she is not busy with her philanthropy, Shaun enjoys yoga, weight training, decorating and organizing "girlfriend dinners". 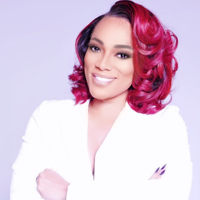 As the Chief NoiseMaker of the Media Mavericks Academy, TeeJ uses her insider expertise as a 20+ year Hollywood veteran to coach her Mavericks how to unapologetically rock their own genius on networks like ABC, CBS, NBC, FOX, CW and on shows like The Steve Harvey Show, The Doctors, and Dr. Oz. TeeJ’s Mavericks have also displayed their authority in The Huffington Post, Psychology Today, Inventors Digest, The Breakfast Club, and too many radio shows and podcasts to count. 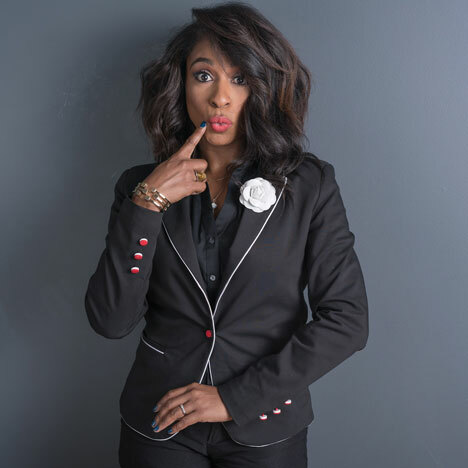 A four-time author, TeeJ is nicknamed The Walking Exclamation Point and The Beast in Media Streets and has spent over two decades influencing the lives of millions through her storytelling for television. As an award-winning TV Editor, her resume is peppered with notable names such as VH1, MTV, OWN, Bravo, Dreamworks Studios, The Walt Disney Company, The Tonight Show with Jay Leno, Access Hollywood, The Bachelor, Swamp People, Clean House, My Cat from Hell, LA Hair, and Bar Rescue to name just a few. Publicity and DVD features for gigantic box office hits such as Shrek, Chronicles of Narnia, The Incredibles, Cars, Princess Diaries, Cinderella are also in her arsenal, plus much more. As a loquacious child who loved to tell stories, TeeJ’s mother often begged and tried to bribe her with the promise of coins for her piggy bank if she would just give her mom five minutes of no talking. Let’s just say that TeeJ’s piggy bank was never in danger of overflowing. But the tables turned. TeeJ gets the last laugh as she regularly reminds her mom that people now pay her to run her mouth as an international speaker. Plus, her listeners seem to enjoy her shenanigan-filled stories via her podcast, Random Ramblings & Rhetoric with TeeJ Mercer. Today, with a mission to make God smile and be Somebody’s Answered Prayer, TeeJ wakes up everyday committed to love on God’s kids by living up to her moniker as The World’s Greatest Hugger. Hip-Hop-Classical violinist, singer/songwriter, and producer Lucine Fyelon won the hearts of the Apollo audience when she was announced as the winner on Showtime At The Apollo season one episode eleven on FOX TV hosted by Steve Harvey. Before competing for Apollo Lucine’s original song “PoundCake” went viral receiving more than 21 million views on social media outlets. Because of PoundCake's immense success, Lucine has been writing and producing more original music and after a year of hard work Lucine’s debut self titled Album “LUCINE” is set to be released on May 25, 2018. Born in Armenia living in Los Angeles, Lucine started playing violin at the age of 5 with the guidance of her parents who are both classically trained solo musicians. Her musical education started in Tchaikovsky school of music in Armenia and finished in University of California, Los Angeles Herb Alpert school of music. By combining her classical upbringing and making it soulful through hip hop/R&B and EDM music, Lucine created her own style of playing and singing which expresses all of the different emotions that come from her heart and soul. Lucine has recorded with artists like will.i.am, Madonna, Brittney Spears, Miley Cyrus, played alongside John Williams, Babyface, Lauren Hill, Shawn Mendes, Foo Fighters, Ricki Martin, Jared Leto, and was the soloist in an arena tour with Cirque Du Soleil’s ice show “Crystal”. In her Debut self titled Album “LUCINE" fans will hear a combination of Lucine’s violin playing and singing mixed with R&B/hip hop, and EDM genres of music. Bio of Areva Martin, Esq.